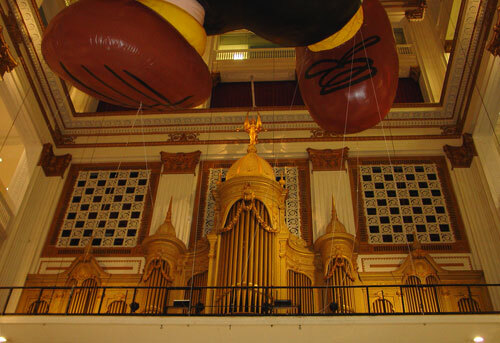 The morning of Friday, August 3, we made one last field trip, to see one of the largest pipe organs in the world, the Wanamaker organ, right in the heart of Philadelphia, at what is now Macy’s. Our guide was Scott Kip, who had substituted for Jane as shop supervisor for a week while she was on vacation and whose day job is working on restoration and maintenance of the organ. It was a fascinating visit, one I would recommend to anyone in Philly. Here is the facade of the organ. None of these are working pipes. 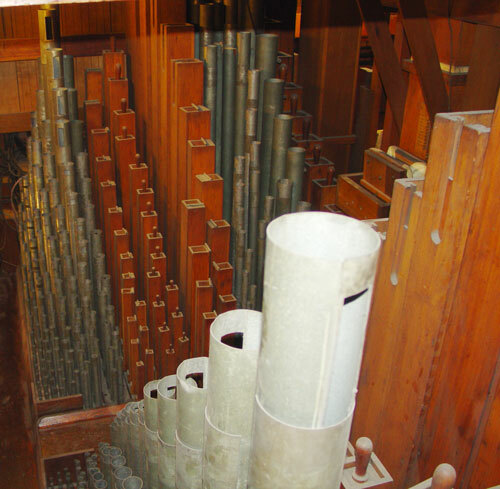 The actual organ is housed behind the facade, spread over seven floors. 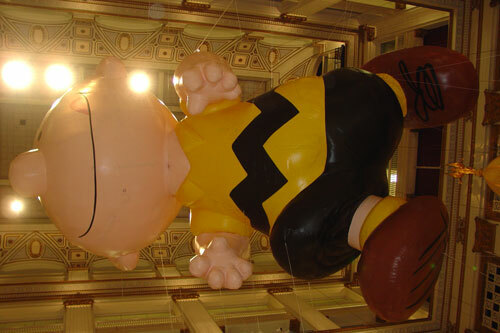 Charlie Brown was visiting Macy’s at the same time, for some kind of anniversary. 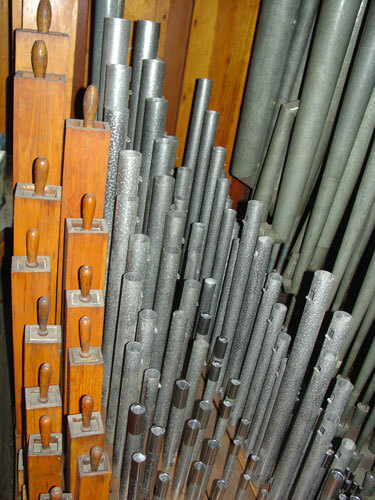 Some of the variety of pipes that make up the organ. 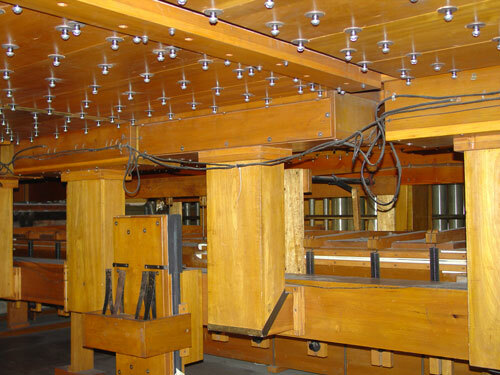 Material, length, diameter, and other factors create the tone of each pipe. Each pipe must be tuned separately. 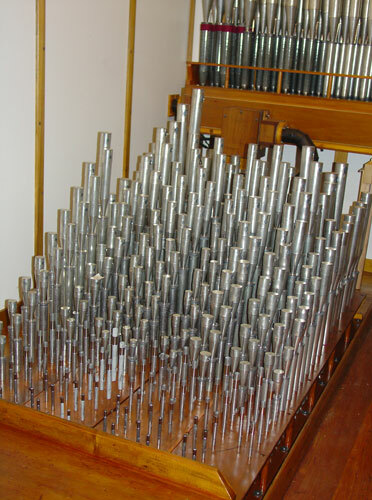 The organ depends on an extensive network of wooden channels that move the air that make the pipes sound. This is truly an awesome instrument. I wish I could convey how amazing it was to see how it operates—and then to hear it played. There are daily concerts at noon and, I think, at 5 p.m., so check it out for yourself if you can.